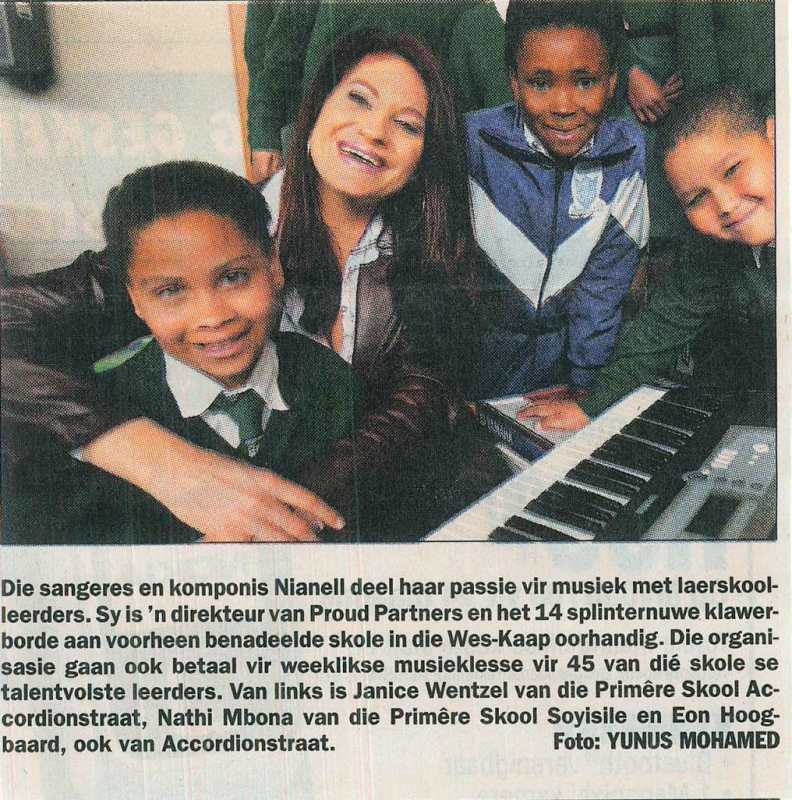 Well-known SA singer and composer, Nianell is an honorary member of Proud Partners and has been involved right from the start by staging performances in aid of our music project. This enabled Proud Partners to buy a keyboard for the Soyisile Primary School in Khayelitsha in 2005. The school boasts a choir that has won numerous prizes in spite of the fact that the music teacher only had a recorder with which to train them. After we had bought the keyboard, we realised that the teacher could not read music, so he subsequently received music lessons weekly at the Welgemoed School of Arts. He can now play chords to the choir for the first time, and a few of the school's most talented children are also receiving private music lessons this year. Nianell personally presented the keyboard to the school. It was a joyous occasion at which she and the children sang to one another (see here). She also demonstrated the ways in which one could use a keyboard and entertained them with a few tricks of the trade. 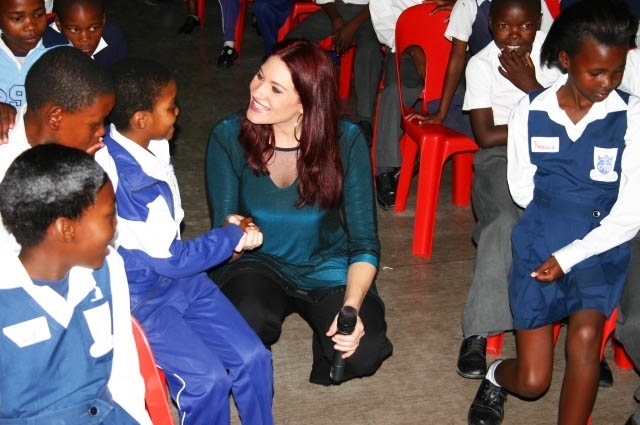 She had a huge impact on the children and was personally so inspired that she expressed the wish to share her music with as many Khayelitsha residents as possible. 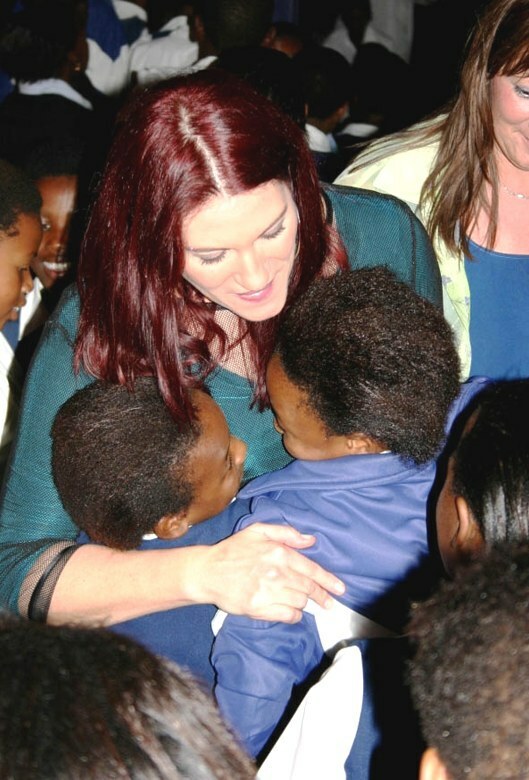 This led to her performing free of charge in Khayelitsha's new community centre in April 2005. Hundreds of children attended the performance. However, what makes this all the more extraordinary is the fact that Nianell made history that same year by becoming the first white woman to win two Sama awards. Receiving the award is a great honour for any artist. The awards were presented at a gala event at Sun City, attended by the who's who in the South African music industry. However, Nianell decided not to attend the presentation as the free concert in Khayelitsha was to take place the next morning and she would not have been back in time to do a proper sound test for the concert! This is a woman with a kind heart, who has her priorities right and who will not jeopardise her professionalism in any way. Proud Partners is proud to be associated with her!